Spotted by The Verge, the ‘Windows Holographic First Run’ application seems to reveal some surprisingly low minimum requirements for AR and VR on Windows compared to what we would call a ‘VR ready’ computer today. Among other things, these specs imply a PC that could be running with hardware as low as the 2009 AMD Anthlon II series (some have 4 cores) and 2010 Nvidia GT 400 series (some support DX12). And what that means is a very cheap PC, that may also be ancient by today’s standards. 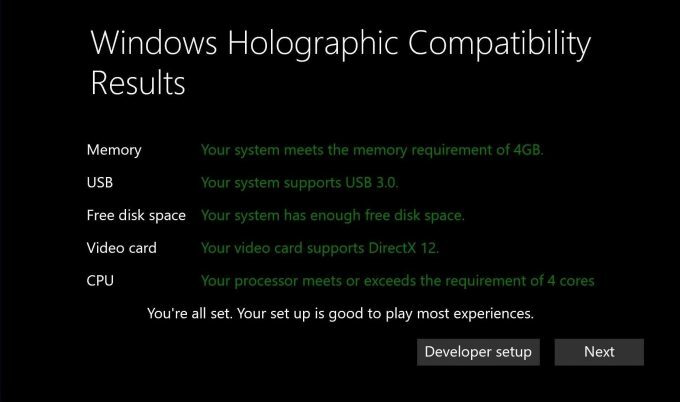 If these specs are all that’s required to run Windows Holographic, even many lower-end laptops should work, compared to what would be required for an Oculus Rift or HTC Vive. 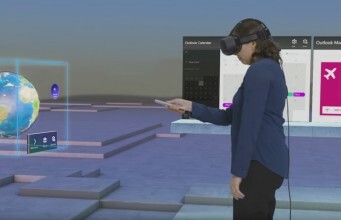 Back at the company’s announcement Windows 10 Holographic earlier this year, Microsoft did indeed say that the experience would enable “mainstream PCs to run the Windows Holographic shell and associated mixed reality and universal Windows applications” (our emphasis). The company claimed to be running what’s seen in the demo video above at 90 FPS on a tiny Intel NUC with integrated graphics. To run what Valve, HTC, and Oculus all consider to provide a good experience for most VR software, something like a modern Nvidia GTX 970 and Intel Core i5 4590 is required. Or, with Oculus’ newly announced minimum specs, it can be as low as the Nvidia GTX 960 and Intel Core Core i3 6100. 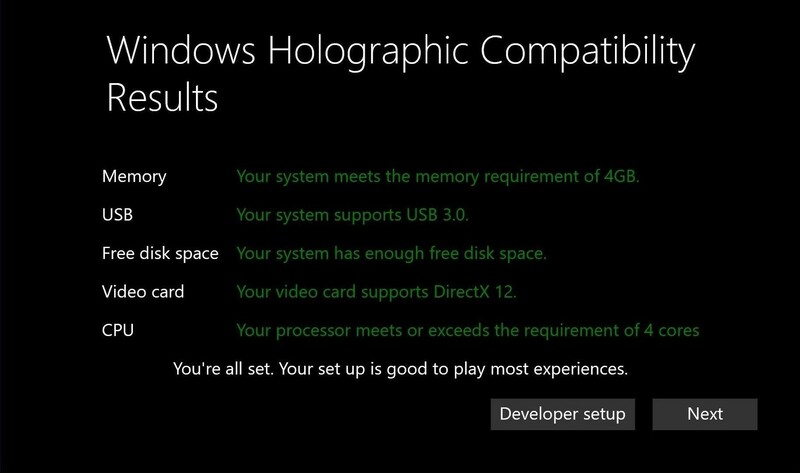 Even compared to those specs, the minimum required to run Windows Holographic would be many times less powerful if we go by this compatibility application. And still, according to what’s stated in Microsoft’s compatibility program, that power should be enough “to play most [Windows Holographic] experiences”. It’s already very hard to get VR games and applications to run well with the minimum specs for the Rift and Vive. If most experiences on Microsoft’s Holographic platform (which probably means software offered on the Windows Store) only require that much power, then naturally, most of the games and applications already using the Rift or Vive aren’t included in their default lineup. It’s probable, then, that what Microsoft is referring to is a smaller set of “experiences” that aren’t as complex, visually or otherwise in aspects that would require processing power, and closer to something that might be offered on a mobile or console platform. From what Microsoft have announced and shown off of Holographic (360 degree video viewing, simple 3D editing in Paint, regular Windows tasks except in a VR environment, etc.) it does seem to be the case that what they might offer by default won’t be the sort of high-end gaming we currently think of when it comes to VR. So perhaps the minimum specs here are misleading, in that the experience you get won’t necessarily compare with the other current PC VR platforms unless you upgrade your specs. Despite that, Holographic at a minimum would be a good entry point into VR and could provide a solid Windows interface through it. And with the inherent freedom of options available on the PC, it can evolve into a platform that includes a wide variety of devices with software to impress. The post Minimum Specs for Microsoft’s Windows 10 AR/VR Interface Are Impressively Low appeared first on Road to VR.